Long could be on the move again. BURNLEY ALREADY HAVE five Irish internationals on their books, but they could be set to add another. 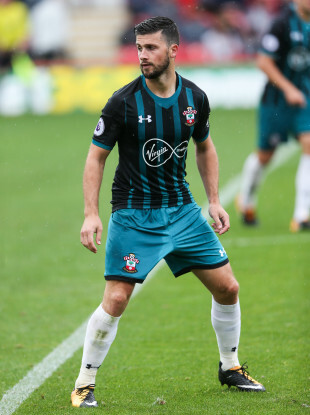 According to The Mirror, Shane Long is wanted by Clarets boss Sean Dyche. The 30-year-old Tipperary man didn’t feature for the Saints on the opening day of the season and manager Mauricio Pellegrino will allow him to leave if they can find a replacement. Reports in France suggest Tottenham have agreed personal terms with Paris Saint-Germain full-back Serge Aurier ahead of a proposed move. The Ivorian defender is also reportedly wanted by Juventus and Inter Milan, while Manchester United have been linked with him in the past. Spurs are also believed to be chasing Ajax’s Colombian defender Davinson Sanchez but Chelsea and Real Madrid are keen on the 21-year-old as well. Newcastle United have announced the signing of Spanish striker Joselu for £5 million. The 27-year-old arrives on a three-year deal from Stoke City and will give Rafael Benitez another option in attack. Meanwhile the Potters have brought in former Real Madrid winger Jese Rodriguez on-loan from PSG. Another done deal sees Gareth Barry leave Everton for West Brom for an undisclosed fee. That move made room for the Toffees to bring in Gylfi Sigurdsson from Swansea for £45m. Elsewhere, Liverpool reportedly want Croatian midfielder Ivan Rakitic to be included in any deal that would see Philippe Coutinho join Barcelona. In February 1997, Arsenal paid Paris Saint-Germain £500,000 for 17-year-old striker Nicolas Anelka. The Frenchman, nicknamed ‘Le Sulk’, went on to become a key player for the Gunners as they won the double in 1997/98. He won PFA Young Player of the Year in ’99 but left that summer for Real Madrid in a deal worth £22.3m. Email “Burnley want to add Shane Long to their Irish contingent and today's transfer gossip ”. Feedback on “Burnley want to add Shane Long to their Irish contingent and today's transfer gossip ”.